Easy Crock Pot Cinnamon Bun French Toast has all the flavors of gourmet cinnamon rolls without all of the hard work! This is the perfect Christmas morning recipe for the busy holiday mornings! I am so excited to share this easy holiday recipe with you today. In the event that you’re looking for a simple, make-ahead, no fuss, and completely indulgent brunch recipe for Christmas morning (or any weekend morning, it doesn’t have to be a holiday), I took care of it for you. 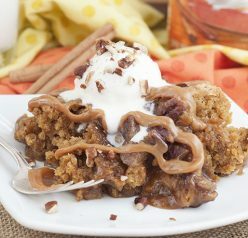 I made something similar and shared it on the blog last December (this Crock Pot Cinnamon Bun Casserole). That recipe was SO popular and went absolutely crazy for the entire holiday season. I had no choice but to make a similar, and possibly even better, version of that deliciousness. 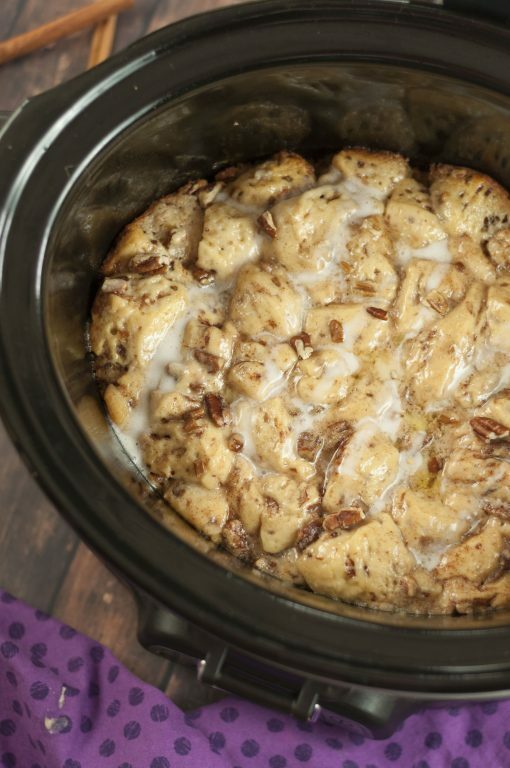 This Crock Pot Cinnamon Bun French Toast would not only be perfect for the holidays, but a great recipe for breakfast any time of the year when you don’t want to turn on your oven! 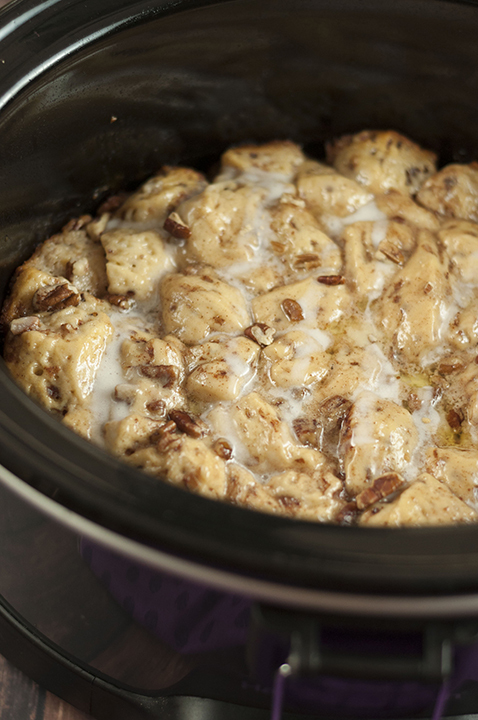 I added chopped pecans to this Crock Pot Cinnamon Bun French Toast to switch things up a little. I also changed up the spices and used vanilla Greek yogurt. It was perfect! I love using my crock pot for quick and easy holiday recipes. 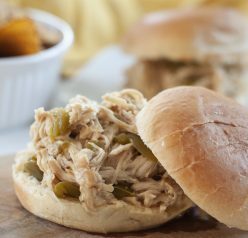 You do not even need to worry about watching the oven and can just enjoy more time with your family while the slow cooker does all the work for you. If you’re totally into cinnamon rolls like I am, you should try this Cinnamon Roll Cake. 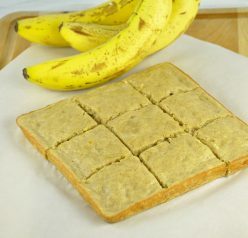 I won’t judge you if you eat it for breakfast – it’s unbelievable! Here is my “how to” video with step-by-step instructions on how to make this Crock Pot Cinnamon Bun French Toast! Easy Crock Pot Cinnamon Bun French Toast has all the flavors of gourmet cinnamon rolls without all the hard work! This is perfect for busy holiday mornings! 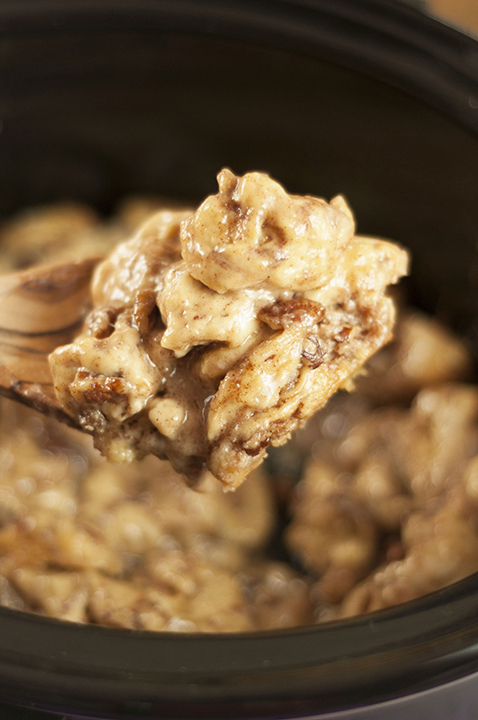 Place the first 5 ingredients in a large mixing bowl and mix together until combined, reserving ¼ cup of the pecans. Cut the cinnamon buns into quarters and toss in mixture. Set aside the icing packets for later. Do not add them at this time. Spray a 5-6 quart slow cooker/crock pot with non-stick spray and pour mixture into it. Cover. Cook on low for approximately 3 hours OR until sides are golden brown and rolls are set in the middle. Cooking times may vary depending on your crock pot and how quickly it cooks (new ones tend to cook faster). Drizzle both of the icing packets on top and serve warm! Enjoy! 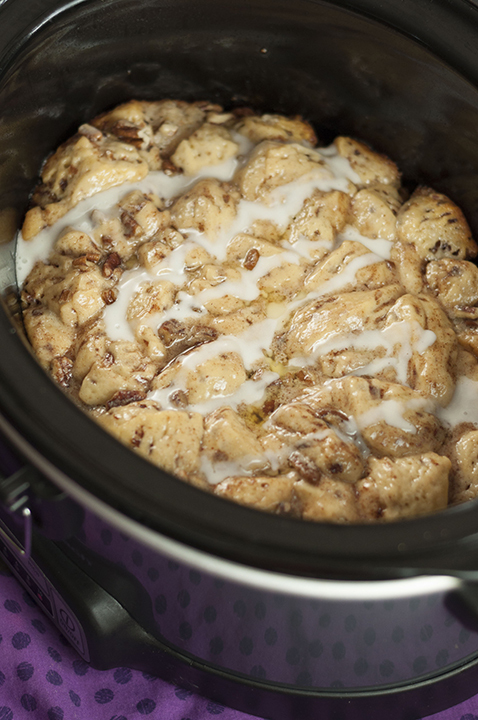 I just received a programmable crockpot so I can finally make things like this cinnamon bun French toast! I can’t wait! Wow, this looks SO GOOD! Neat idea — and a great way to use a slow cooker. Very clever — thanks. Yum. so glad I found this. Has anyone tried increasing the rolls of Cinnamon Buns to 4? I am looking for something for a church potluck brunch and didn’t know if I could double it or if the center wouldn’t get done. Thanks, Will definitely make for my family. I would add a couple of hours cooking time if you’re doubling it!